Remember a few months ago when I posted about trying new ingredients? Well, here's my latest adventure: Romanesco. I prepared it simply roasting it with olive oil, sea salt, and white pepper. The texture was crunchy and the flavor nutty. Here's to trying new things. 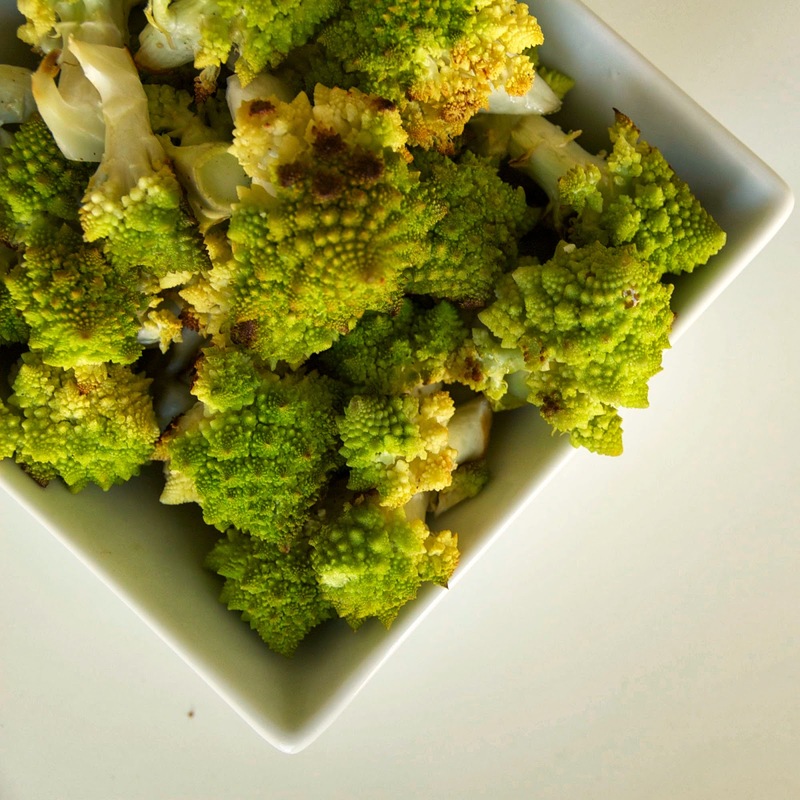 wash and cut Romanesco into bite size pieces. toss it with all the other ingredients.